The application is available for Firefox iPhone and Android smartphone. All you have to install the AVG Privacyfix and connect your accounts with the app to start the scan process. To connect your account just login with username and password and authorize the application. 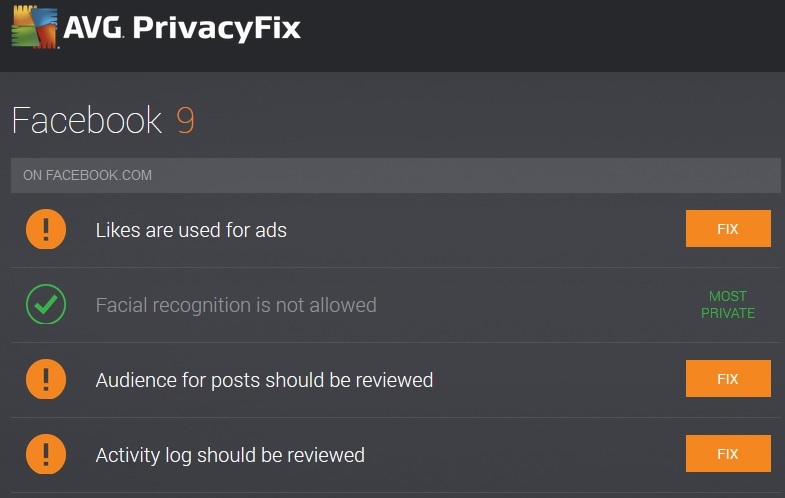 Once all your Facebook, Google & Linkedin account are connected with Privacyfix, it will take some time to scan all you accounts. Once the scan is completed you will see the results of all your account on the same page with the suggestion to fix it. In Facebook tab it will show you the details like app permissions, post audience, photo tagging reviews, facial recognition and location access. If the AVG Privacyfix will found some problem with your account, then it displays a detailed description of the problem, along with the pros and cons of applying a fix. To Fix the problem all you have to hit the Fix button from the browser. With the same way you will fix and control your Google and Linkedin privacy settings. Not only on the social networks it will also help you while browsing through the internet. Whenever you visit nay website on your browser you will receive warnings when you are about to click any malicious links or visit any harmful website which is not good to browse and tracking your activities. 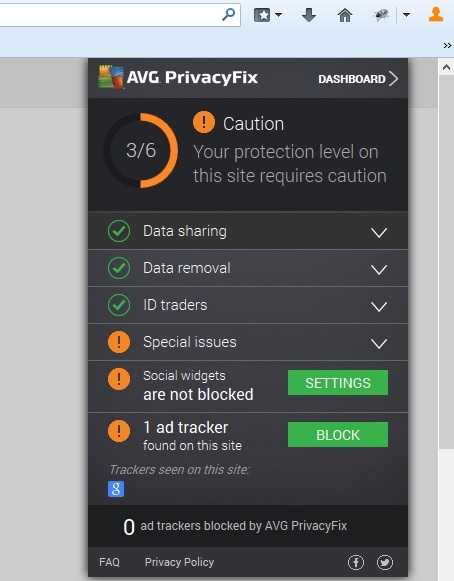 AVG PrivacyFix is a free service, and available for both smartphone and desktop, one of the best way to protect you online privacy on the internet. Just enable the tool on your browser or your smartphone and you are ready to control your privacy settings.